Are you looking for a space to host your community event? 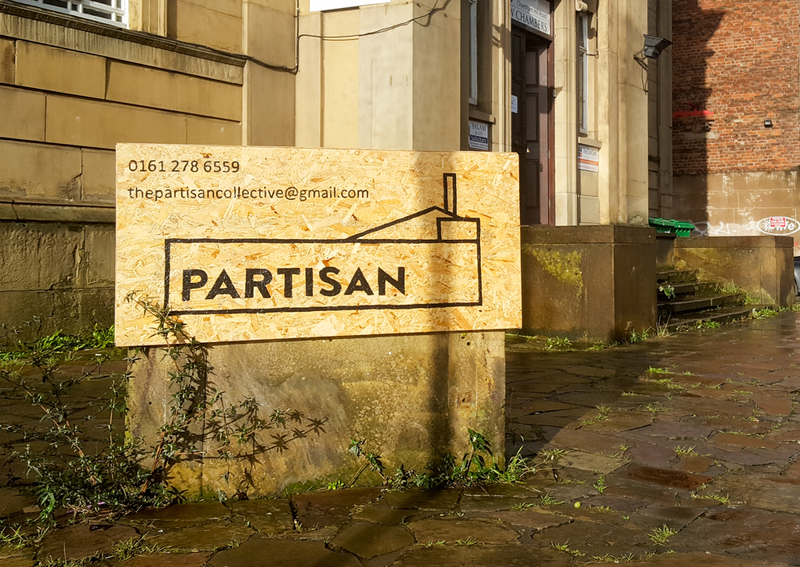 Partisan has a dedicated programme that offers free space to charities and community groups for an event that benefits the wider community. What kind of event can the Community Events Partnership host? Fundraisers for charitable purposes, classes and workshops, talks and discussions, performances, film screenings, and meetings. Events may be one-offs, a series, or regularly ongoing. We would particularly like to support groups and events by and for: people of colour, LGBTQIA+ people, refugees and asylum seekers, working class and DIY artists, free arts and music workshops, and community groups from the Cheetham Hill area. Regardless, the Community Events Partnership application is open to all who meet the below criteria. Our Community Events Partnership is supported by Partisan’s Collective Fund, which is under the auspices of Prism the Gift Fund, a registered charity. If you would like to support this charitable programme and help us continue our work of providing free space for the community, please consider making a donation to this fund. Are for a registered charity, NGO, or foundation. Are for a local community group. Are for the advancement of the arts, culture, heritage, or science. Are for the promotion of human rights. Are for the promotion of religious or racial harmony, or promote equality and diversity. Support those in need, in particular young people, disabled people, and people in financial hardship. For-profit events – including commercial fundraising events with a for-profit element. Political and activist campaigning groups cannot be supported under our Community Events Partnership. Instead, please fill in our standard booking enquiries form. Or, as a member of Partisan, you may apply for reduced or free rates using this form. Events that involve licensable activity. This includes the selling of alcohol, and any live amplified music – including DJs (but excluding music which is exclusively part of a performance, for example as a theatre show). If your event includes any of these elements, you will need to fill in a Licensed Event Proposals form instead. You can apply via our Community Event Partnership Proposals form here. We recommend you apply at least two months in advance.